A variety of weeds I would like to know more about. 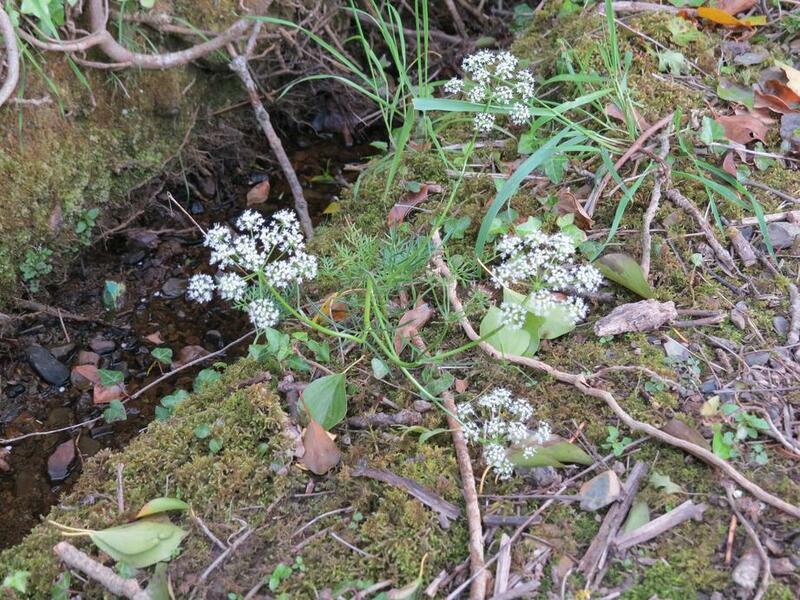 A = Could be any of a number of umbellifers like saxifrage, parsley (don't eat it) or wild carrot most likely it is pignut. 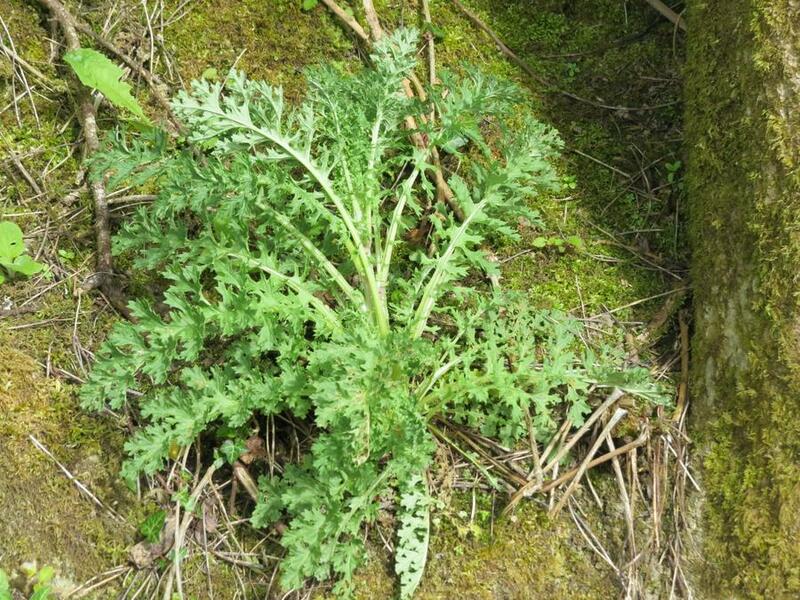 C = Ragwort, ragweed or in some parts of the country buachalán is still used. It is poisonous to cattle and horses and farmers are meant to clear their fields of the stuff. D = Hairy bittercress, you will find plenty references to it on this forum. 3 is ragwort I think. 1 & 2. Couch grass/ witch grass. It has loads of names. A right *astard to get rid of. Plagued with it here . Would need a few flowers on show to be certain of the others. Would need a few flowers on show to be certain. A. Conopodium majus...common name Pignut. B. 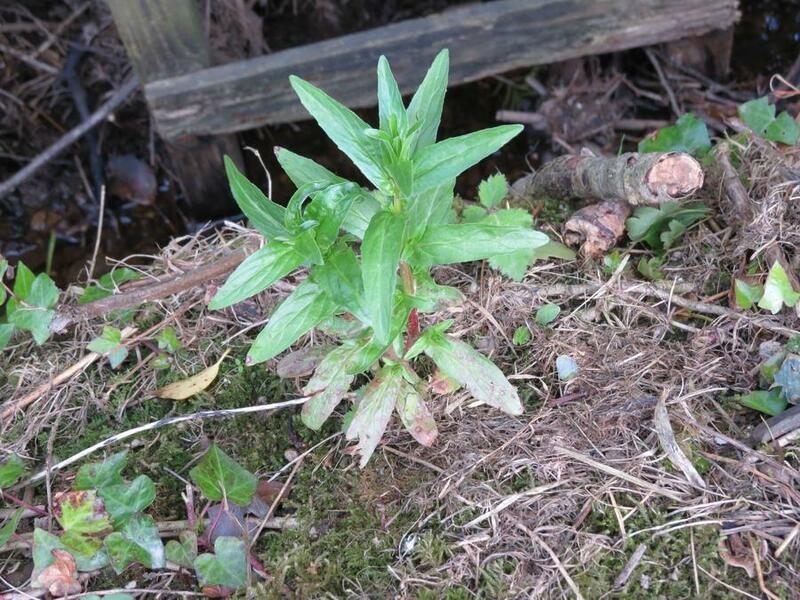 Agree willowherb. Definitely not Redshank. D. Cardamine sp. Possibly Cardamine hirsute..common name Hairy bittercress. I hear that Hairy Bittercress is a nightmare. Thought that was Scutch grass but wanted to make sure as I was confused by the way they looked different from each other, one with the thin purple stems and the other with the fatter pinkish ones. My bad, should stay away from this identification lark and leave it to the experts. When I seen the red stem I presumed that it was a red shank. I don't think No. 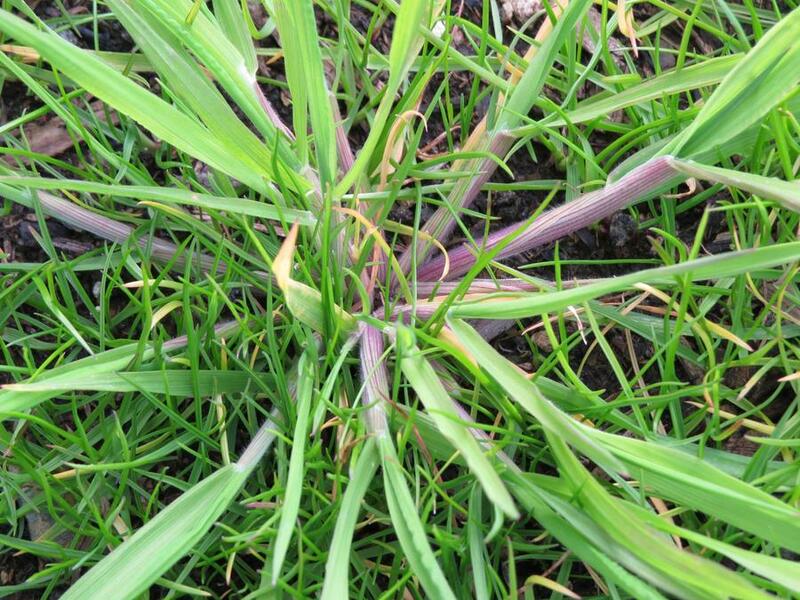 1 is Scutch Grass (or as I call it, Switch Grass). I don't know the name for it but it spreads by shooting slightly red (or pink) overground runners. Switch Grass has white underground runners. It's quite easy to get rid of by digging it up, whereas Switch Grass is an absolute nightmare, because some little bit of underground runner always seems to remain. 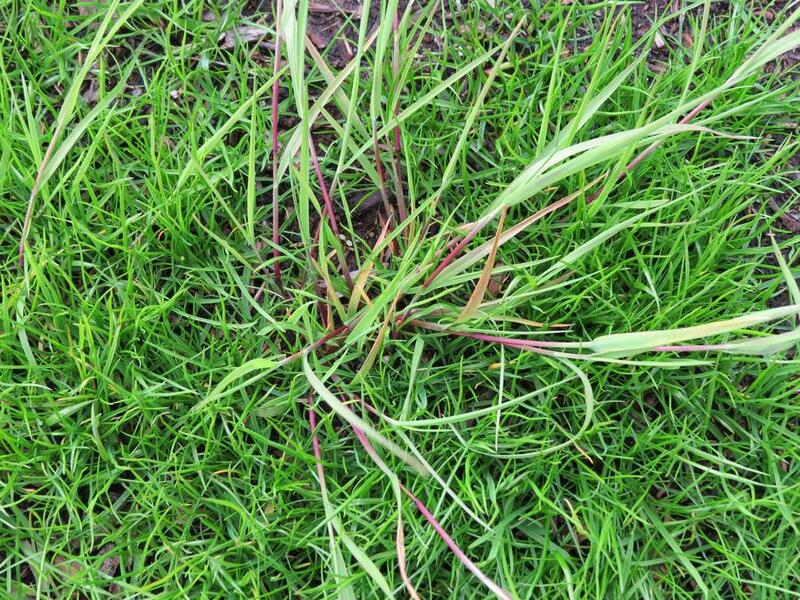 The only answer to Switch Grass is Glyophosate, unfortunately. Thanks for that, just one question. 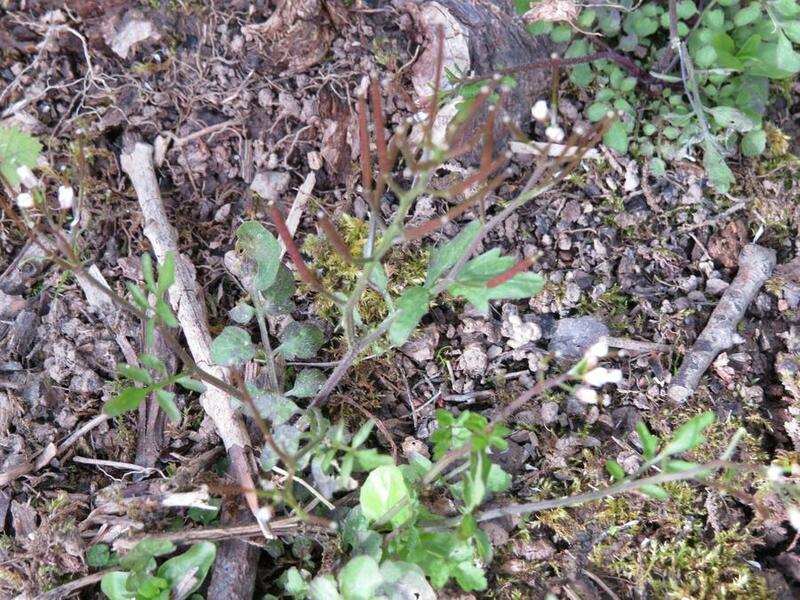 I have a few of those bittercress plants with the pods formed, and sprayed them with Glyphosate. However, will this necessarily stop them from spreading the seeds as there is a ten day wait for the plants to die? Should I have just pulled them up? I seem to have a lot of both pulled up but as you say I might need to treat them in the future. Trying to establish a new lawn and these two are creeping in everywhere. I would love to know the name of the first one. Cardamine hirsuta is a pesky plant which can produces its explosive seed pods when almost microscopically tiny. The plants can be hidden behind a blade of grass, a tiny lump of soil or a tiny pebble.. Sadly no amount of chemicals, hoeing or hand weeding will get rid of this pesky weed. The only blessing is that it does not grow tall. Can I appeal here to people only to use glyphosate where nothing else will do? ( plants with deep taproots in places where you can't dig them out, or those that leave bits of root behind to form new plants - scutch grass, bindweed, vetch, horsetails, japanese knotweed etc). Mechanical removal by hand, hoe or flame are just as effective, especially with annual weeds, and don't devastate the soil fauna and flora. Preventing them from seeding gives the best return on the work invested and in lawns most annual weeds will succumb to the lawnmower, eventually. Personally, I like buttercups, daisies and clover in my lawn. So do the bees. 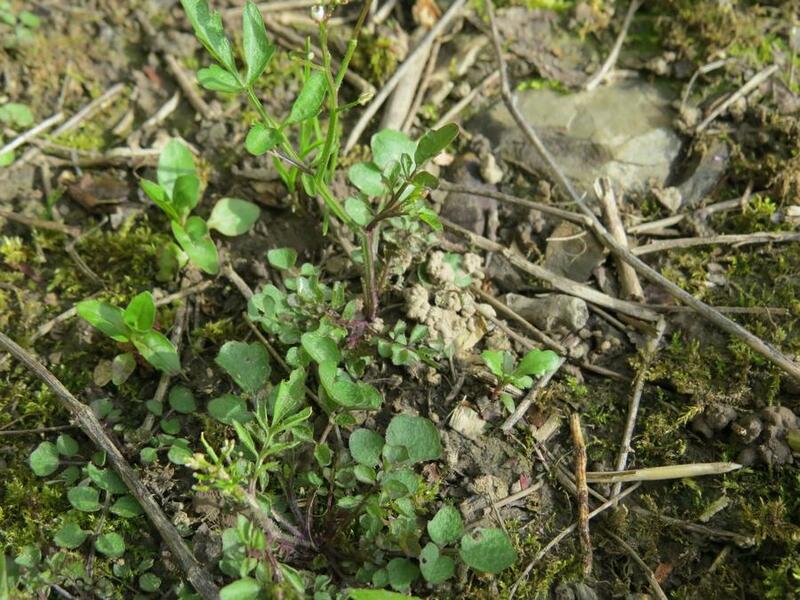 In my experience, glyphosate on bittercress is not really effective. Yes, it kills the plant, but in doing so encourages it to go to seed as it dies. That's why it is so prolific in nursery plants. Best to pull by hand when small.